A forbidden romance. A modern mystery. Wuthering Heights as you’ve never seen it before. Catherine is tired of struggling musicians befriending her just so they can get a gig at her Dad’s famous Manhattan club, The Underground. Then she meets mysterious Hence, an unbelievably passionate and talented musician on the brink of success. As their relationship grows, both are swept away in a fiery romance. But when their love is tested by a cruel whim of fate, will pride keep them apart? Chelsea has always believed that her mom died of a sudden illness, until she finds a letter her dad has kept from her for years — a letter from her mom, Catherine, who didn’t die: She disappeared. Driven by unanswered questions, Chelsea sets out to look for her — starting with the return address on the letter: The Underground. Like Jane, this new volume from April Lindner is full of intrigue, mystery and romance. 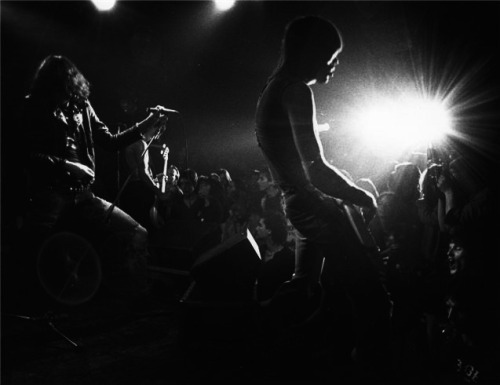 Her stunning prose easily transports you into the world of post-post punk era New York City. Instead of the Moors of Yorkshire, the places where the protagonists Catherine and Hence meet are equally as beautiful, even in their quiet simplicity. The voice of Catherine herself is assured, meaningful, and trustworthy, as if nothing she did had an ulterior motive other than being true to herself. Hence’s dark, brooding character is more relatable than Bronte’s Heathcliff, and he and Catherine fit together perfectly in a jigsaw puzzle way. Told by two different narrators, that of Catherine and her daughter Chelsea, the way the story unfolded with these dual narrations built the tension without jumping too much forward like the furious pacing of James Patterson. I did feel however, that the tragic, desperate love of Heathcliff and Catherine was toned down in Catherine, but thankfully left out the creepiness of the original Heathcliff character. Ms. Lindner’s last novel, Jane, introduced readers to her unorthodox way of re-imagining Jane Eyre. 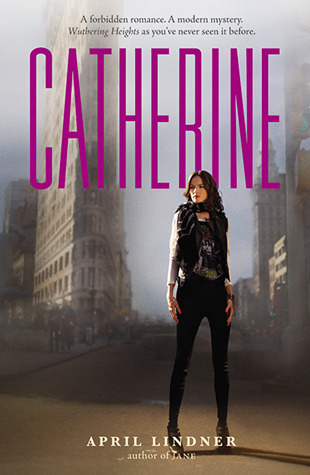 It was met with rave reviews, but with Catherine out on shelves now, I believe Catherine could surpass the already-high bar that Ms. Lindner set with Jane. Catherine did its job. It’s gripping from the first chapter, has a killer cover, and built the characters and plot in a satisfactory way that haunted me from its matter-of-fact opening to its stunning, ghost-ridden conclusion. “Jane” by April Lindner Contest Giveaway! April Lindner, author of “Jane” has kindly partnered in a giveaway exclusively on Shylock Books! —Two (2) Advance Review Copies of “Jane” by April Lindner, signed and personalized by the author. Note 10/29/2010 : The author has offered the winners the choice of an Advanced Review Copy (ARC) OR a Finished Copy of “Jane”—just like what you would find in a bookstore or library! —Mention “Jane” by April Lindner on any social networking site: i.e. your blog, Twitter, MySpace, or Facebook page, along with a link back to this contest, and a picture of the book cover. —Leave a comment in comment section of this post along with the url of where you mentioned “Jane.” Don’t forget to leave your email address so we can contact you if you win! —One (1) entry per person, per day. —2 winners will be randomly selected in the drawing. —The contest ends on Halloween night, Sunday, October 31st with the 2 winners announced shortly thereafter. This book had me at “hello.” After glancing at the new Young Adult listings on Amazon.com I was immediately intrigued. A retelling of Jane Eyre? I received an ARC within a few days, and finished the book in under two days, glued as I was to the page. 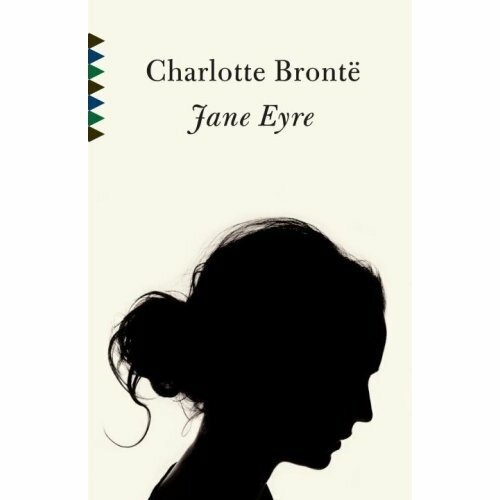 I haven’t read the original Jane Eyre by Charlotte Bronte yet, so I was truly interested in how this book would be since I was a fresh reader without the prejudices or bias to the original work. Jane Moore was an interesting character to watch on her journey from dead-broke college student to a rock musician’s nanny. She was a bit quiet, in that her character didn’t speak her mind too much and I hoped she would gain more confidence and strength than what was “told” on the page instead of shown. I imagine this was partly due to the character constraints of the original novel. I really liked Thornfield Park and the image of the house and grounds were very distinct and had a moodiness to it that made the reader believe that something wasn’t quite right about it. Nico Rathburn was a great Byronic character, moody, rich, narcissistic and self-absorbed—the bad guy all of the girls want and his interaction with his daughter was sweet and innocent, similar to the interaction between Mr. Darcy and Georgiana Darcy in Jane Austen’s Pride & Prejudice. This book kept me glued to the pages, and although the narrative was periodically interrupted with already-outdated pop culture references like the original Conan O’Brien show, its lyrical and eloquent style felt true to the original book’s time period. It truly made me want to rush out and buy the original Jane Eyre, which I believe is a great thing this book can do. April Lindner is a fresh talent with a knack for interpretation of the classics, and who knows what she might write next? A retelling of Wuthering Heights, maybe?… In any case, April Lindner is a welcome sight in the YA genre that is overflowing with zombie, werewolf, and vampire stories. Watch the book trailer for “Jane” by April Lindner below!